Peripheral nerves are embedded in a myofascial, joint and bony matrix that intimately affects their function. Nerve symptoms can range from tingling, numbness and weakness to aching, pulling and pressure. It is common for nerve problems to coexist with myofascial tension and pain. 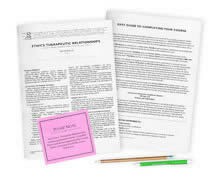 This home study program is centered on Doug Alexander's superb Nerve Mobilization DVD which covers the upper extremities. The anatomy of each of the median, ulnar and radial nerves is explored. Upper limb movement patterns, which preferentially place tension on each individual nerve are also taught. You'll learn nerve tension tests enabling you to determine which region of the nerve is most sensitive. Discover a variety of therapeutic techniques designed to free restrictions along the nerve path and normalize tissue function from the neck to the hand. The manual accompanying the course goes into detail on every aspect of the DVD. You will learn a valuable way of thinking about the body and client symptoms to enrich your practice and help your clients. This course will help any clinically-focused massage professional and is the perfect complement for anyone who administers cranio-sacral therapy. Awesome course! It brought more clarity to orthopaedic tests I learned in Massage school, and very clearly taught new techniques on how to treat the structures involved. Of all the courses (both online and in person) that I've taken this one is up there as one of the best. I was able to refine my proprioceptive skills in regards to the nervous tissue rhythm. I feel the course content blends well with my current myofascial release work and it will greatly enhance my ability to help others. I highly recommend the nerve mobilization course! This course is very good in the way it shows the integration of muscle and nerves. The DVD makes the movements very clear & I look forward to implementing nerve mobilization into my practice as needed. The Nerve Mobilization Course is an excellent attribute to some of the most common nerve challenges we have within our medical practices. Moreover, the Nerve Mobilization Course (NMC) thoroughly exhibits through the workbook, manual and DVD, exact locations of the brachial plexus, median, radial and ulnar nerves. 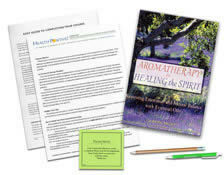 In addition, nerve compressions, nerve testing, and a variety of techniques to release nerve compression and adhesions are introduced in both the easy-to-follow workbook, manual and DVD. I personally appreciated the neural milking, glides, stretching of nerves, fluid techniques, post-isometric relaxation, joint mobilization techniques that all work simultaneously to unleash the nerve compressions. Finally, with practice on my family and clients, I have begun to see the difference in the outcome of the nerve and muscles relaxed allowing a more fluid range of motion. Also, the breathing exercises and home care is also extremely beneficial in aiding both the client and the facilitator! Thank you for an excellent course...I will use these techniques in my practice! Would love to see this for the lower extremities as well. Great course! Excellent course! 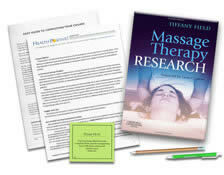 I would recommend this to be part of every massage therapy program. This course is an invaluable asset to any therapist looking to work in a medical/ rehabilitation setting. Presented in a thorough and organized manner with a wealth of information. I look forward to adding these techniques and assessments to my "bag of tricks". 5 stars! Great technique that I will instantly start using in my practice! Information was a little hard to visualize and understand at times, but overall very informative and useful. Pictures, videos, and diagrams were helpful. Thank you! This course was great. It kept my attention and challenged my knowledge of anatomical terminology, which I liked! This course was fantastic for me. I work with a chiropractor and come across this problem all the time. I've tried it on some of my clients, and truly gave relief after the treatment. Thank you for sharing your experiendses. Great course and i would recommend this course to anyone. I found that the information in this study course was very beneficial to me. I have had issues with an compressed nerve. The video was very easy to follow. My son worked on my shoulder and now my issues are gone. I thought the course was well written, well diagramed, and the questions were pertinent. It was obvious this instructor really knew what he was talking about. This helped give me confidence in the information. This was an excellent course on new techniques to working with clients who have carpal tunnel, tennis elbow and golfer's elbow. It is very detailed and worthwhile learning. I truly enjoyed this course. I am anxious to practice the testing techniques on my clients. Thank you for creating an enjoyable course. I enjoyed going over this and watching the DVD on my own time. It gave me time to go over it and really concentrate and appreciate what a good and very helpful course this is.